Your first treatment will take up to 1.5 hours and subsequent treatments will be one hour in duration. The first treatment will include a detailed analysis of your health history and the presentation of the current condition. As a Chinese Medicine Practitioner we will also ask about other aspects of your health such as sleep patterns and bowel movements which actually are very important in making a correct diagnosis. One of the major differences between Chinese Medicine and Western Medicine is that Chinese Medicine treats the person, Western Medicine treats a condition. We will also ask to see your tongue and your pulse will be taken many times throughout the treatment, all of this is crucial to diagnosis. Ensure you have eating something in the previous 2 – 3 hours, to avoid feeling light headed. It is easier to work on the abdomen area with an empty bladder so go to the bathroom before you get up on the table! Any recommendations for after the treatment? Relax. A lot of clients leave Harmony Acupuncture feeling completely relaxed so try to keep the relaxation going as long as possible. Plan an acupuncture treatment as the main event to your day and not something to be squeezed in between yoga and pilates!. Drink lots of water and go to bed early. One of the side effects of acupuncture is longer and deeper sleep. Enjoy the deep relaxation. How long will I be coming? Acute conditions may respond with just a few treatments, while a chronic condition may require a longer series of treatments. Visits are usually scheduled one or two times per week depending on the condition. 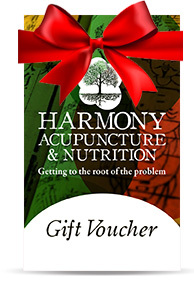 Harmony Acupuncture is covered by all the major insurance companies in Ireland including VHI, Laya, ESB, Aviva & Garda. The number of sessions allowed per annum will be determined by your individual policy. Receipts can be given after each session or at the end of a course of treatment.